You've finally been able to sit down with your healthcare provider to discuss a worrisome health problem. But all too soon it's over, and you realize you didn't quite understand the diagnosis and treatment and you have more questions. Experts offer suggestions for an effective visit with your doctor. You’ve finally been able to sit down with your healthcare provider at an anxiously awaited appointment to discuss a worrisome health problem. But all too soon it’s over, and you realize you didn’t quite understand the diagnosis and treatment, you have more questions and you feel like you weren’t heard. Perhaps the doctor stared at a computer screen instead of your face. Clear communication is key when dealing with health problems, and sometimes you, the patient, need to take control. In this day of high-speed Internet, digital medical records and doctors with too many patients and too little time, planning ahead can save your health. Speak your mind. Tell your healthcare provider how you feel, including things that may seem unimportant or embarrassing (see below). Ask about the best way to contact the doctor (by phone, email or through the staff). Remember that other members of your healthcare team, such as physician’s assistants and pharmacists, can be good sources of information. Health professionals have their own language and concepts that we lay people often don’t understand or interpret the same way. For instance, did you know that to a doctor a “fever” means a temperature above 100.4—not just something above the normal temperature of 98.6? Or, for example, your friend’s heart stopped beating, and he was successfully revived with CPR. You tell the doctor you’re glad your friend survived the heart attack. The doctor says your friend didn’t have a heart attack, he had cardiac arrest, but with no damage to the heart muscle. What does this mean? To better understand medical terminology, an easy-to-follow, free online tutorial from the U.S. National Library of Medicine provides explanations of various medical conditions that cause confusion between doctor and patient. What are my treatment options? What are the benefits of each option? What are the side effects? Will I need a test? What is the test for? What will the results tell me? What will the medicine you are prescribing do? How do I take it? Are there any side effects? Why do I need surgery? Are there other ways to treat my condition? How often do you perform this surgery? What should I do next? Ask for written instructions, brochures, videos or websites that may help you learn more. 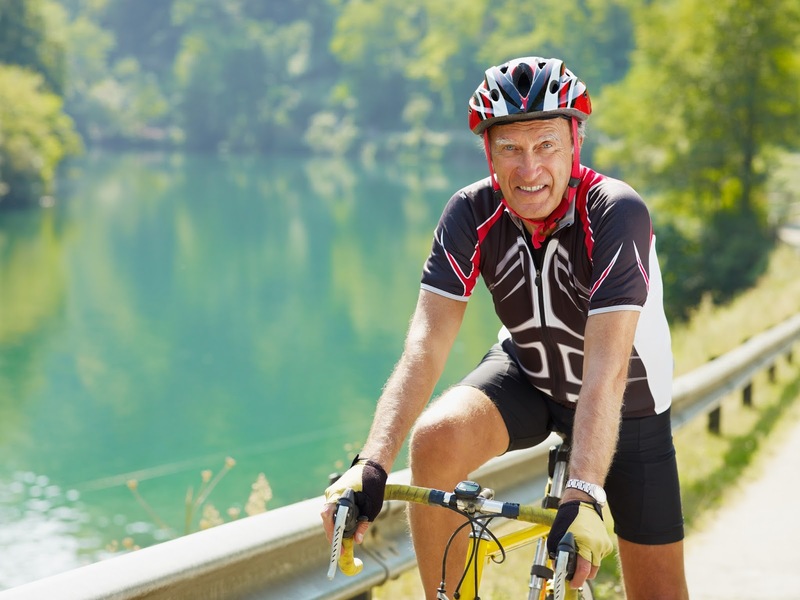 As we age, some health issues seem too uncomfortable to talk about. Bodily functions we took for granted throughout our lives have suddenly changed or become problematic. Sexual issues, incontinence or memory loss can be difficult to discuss. But most doctors are accustomed to talking frankly about such issues. 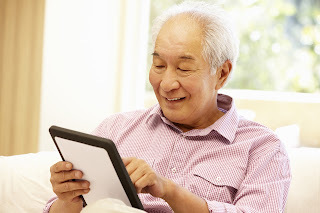 The American Psychological Association offers a series of online brochures on many physical and psychological health issues affecting older adults, which can help you introduce the topic to your healthcare provider. If you have access to a printer, make a copy to take along to your appointment. Being honest about your habits, such as smoking, alcohol use, poor diet and exercise, is best for your own benefit. So, don’t try to please the doctor with the “right answers” if they’re not true. Besides your habits, describe your symptoms clearly and accurately. Before the appointment write them down, including when they occur, for how long, what makes them better or worse and how they affect your daily life. Tell the doctor about any big life changes that affect you emotionally and mentally, such as divorce or death of a loved one. These can manifest physically. For additional advice on discussing various issues, describing symptoms and making the best use of your time with your doctor, read “Talking with your Doctor: A Guide for Older People” from the National Institute on Aging. Hey, look at me. Even though electronic medical records have replaced the handwritten chart, "A doctor who focuses on the screen while talking to a patient is communicating ineffectively," says Dr. Robert Eckel, professor of medicine at the Anschutz Medical Campus of the University of Colorado, Denver. "A doctor should look directly at a patient when he's providing important information about the visit," Eckel adds. 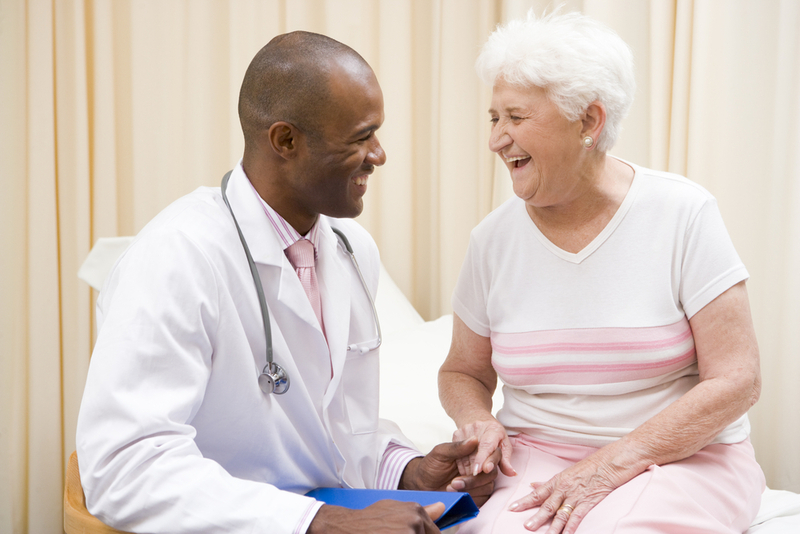 If your doctor is not, try saying, "I'd feel more comfortable if you looked at me while we talked." Show some personal interest. "Doctors are human, and sometimes they need a little attention, too," says Dr. Harlan Krumholz, professor of medicine at the Yale University School of Medicine. "A kind word or showing interest in your doctor can go a long way toward strengthening the personal tie between you." Be the squeaky wheel. If your doctor is unclear about something you asked or said, or if you don’t understand what the doctor said, don’t let it drop. Ask for a re-explanation or clarification. If it’s something the doctor seems uncertain about, ask about getting a second opinion (see below) and a recommendation for another doctor. Even if this makes you uncomfortable, it’s better than leaving unsatisfied. Ask about long-term issues. Following a diagnosis, ask for specifics about how long it takes to heal, how long a procedure will take and when you can go back to work or resume normal activities, given your specific situation. If a serious condition or surgery is required, ask if you can continue to live independently or if there are alternatives to the doctor’s recommendations. Start with your main concern. Discussing your main worry upfront gives you the time to focus on it, says Dr. Lisa Schwartz, professor of medicine at the Dartmouth Institute for Health Policy and Clinical Practice. If you haven't covered all your concerns and time is running short, ask your doctor if he'd like to hear the rest now or prefer to follow up by phone or email. Provide some background. If your medical history is complicated and you have an appointment with a new doctor, bring along a one- or two-page summary of recent tests and treatments so she can get up to speed quickly. Even if your records were transferred to her office before your appointment, she may not have had a chance to read them thoroughly. Providing a short version with only the highlights and test results for the last six months or year will save time and may help you avoid repeat tests and imaging. Rita Wilson, the wife of actor Tom Hanks, credits getting a second opinion with saving her life. After two breast biopsies that came back normal, Wilson still felt something was wrong. A friend recommended a second opinion, and with it Wilson found out she had a dangerous and stealthy form of cancer often found with another condition she had. She ended up having a double mastectomy and breast reconstruction. As a final cautionary note: Don’t assume a second opinion is always right. If you see a second doctor and his opinion is radically different from the first, it may be wise to get a third opinion as a tie-breaker. And sometimes, advises Torrey, it’s best to go back to the first doctor, present what you’ve found and raise questions. Also make sure that the healthcare provider from whom you want a second opinion is part of your insurance provider network. Ask your health insurance’s customer service department for a referral for a second-opinion provider. How to Talk Effectively with Your Doctor was recently featured in the October 2015 Senior Spirit newsletter. As Western culture prepares for the growing aging population, we search for models of how to find the fountain of youth and integrate meaning and value into the “third age.” Which societies are doing it right? Where can we find role models to show us the way? One example is on the island of Okinawa. The Japanese live longer than anyone else, and Okinawans live longer than anyone else in Japan. According to the Okinawa Centenarian Study website, there are fifty centenarians for every 100,000 islanders in Okinawa, whereas the United States has about ten to twenty centenarians for the same number of its population. The Okinawa Centenarian Study found more than nine hundred verifiable centenarians. Not only do Okinawans experience impressively long life spans, but their older population has admirably good health and enjoys independence into their seventies, eighties, and nineties. Okinawa is an island archipelago region of Japan in the East China Sea where the average life expectancy is just over eighty-two years (almost seventy-eight for men and eighty-six for women). This is over a year longer than in the rest of Japan, and almost 4.5 years longer than the average U.S. life span. Okinawans are three to seven times more likely to live to one hundred than Americans. As impressive as Okinawan longevity is, however, what is of equal—if not more—interest is the quality of health most older adults in Okinawa enjoy. Heart disease, cancer, dementia, diabetes, and other conditions considered par for the course in older people in North America are rare in Okinawa. What is their secret? What is the fabric for their long life? To get a better feel for a typical day in the life of an Okinawan older adult, connect with the following YouTube documentary, Okinawan Longevity and Health. Longevity in Okinawa: A Model for Treasuring Old Age was featured in CSA Journal 63. Do you need information about Medicare? Maybe you’re trying to figure out how to apply for Social Security, or just looking for tips on how to stay healthy as you age. The government has just launched a one-stop resource aimed at older Americans. Do you need information about Medicare or Medicaid? Maybe you’re trying to figure out how to apply for Social Security, or just looking for tips on how to stay healthy as you age. The government has just launched a one-stop resource aimed at older Americans, their families, friends and caregivers to answer questions about getting older. Under the Department of Health and Human Services, aging.gov links to a broad array of federal information, including how to find local services and resources in your community for everything from healthy aging to elder justice to long-term care. Visit aging.gov to learn more. One-Stop Online Resource for Seniors was featured in the September 2015 Senior Spirit Newsletter. To those of us who didn’t grow up with the Internet, online banking can seem dubious. However, in many ways online banking makes sense for aging brains that occasionally forget to pay bills. You can authorize your bank to automatically pay regular bills, such as those for credit cards or car payments. To those of us who didn’t grow up with the Internet, online banking can seem dubious. You don’t see money changing hands; it disappears and reappears from your computer screen. However, in many ways online banking makes sense for aging brains that occasionally forget to pay bills or fail to pay them on time. With online banking, you can check to see if you paid a bill, or you can set up automatic bill pay for regular accounts, such as credit cards or car payments. If you’re not comfortable having the bank automatically take money from your account, many banks will send you an email and/or text alert to remind you of the due date, so you can pay bills yourself. Such alerts will also warn you if your account balance is low. In addition, you can monitor your account for fraud, especially if you’re suspicious about recent activity. Online bank statements immediately show transactions, including those for an Xbox that you didn’t order. You can also transfer funds between accounts online. Conveniently, there’s no need to keep track of your finances in a check register and balance your checkbook every month. On your online statement, you can see your balance up to the last transaction shown (even written checks). In fact, if you need to go back several years (for tax purposes, for example, or to find the date for that last mortgage check), you can pull up the information from your online account. You can even deposit checks online by using a scanner or fax machine to scan the check and send the image to your bank. Or, use the camera on your smartphone to take a picture of the check and deposit it electronically. In fact, you can do most banking activities on a smartphone, so you can use the time while waiting in a doctor’s office to take care of banking business. Many institutions offer free mobile phone apps you can download and use to connect directly to your bank. Those with older parents who are no longer comfortable with their financial abilities can use online banking to view their parents’ online statements and check to make sure their finances are in order. Because hackers could cause significant financial damage if they broke through a bank’s security system, institutions that provide online banking use the highest security system allowed by U.S. law. Still, there are actions you can take to help keep your money safe. Avoid public networks when making a transaction. Even though online banking sites use strong encryption technology, using the wireless access at your favorite café, for example, can potentially leave you vulnerable to hackers. Check your bank statements as often as possible to make sure you haven’t been hacked. Online Banking Helpful for Seniors was featured in the September 2015 Senior Spirit Newsletter.